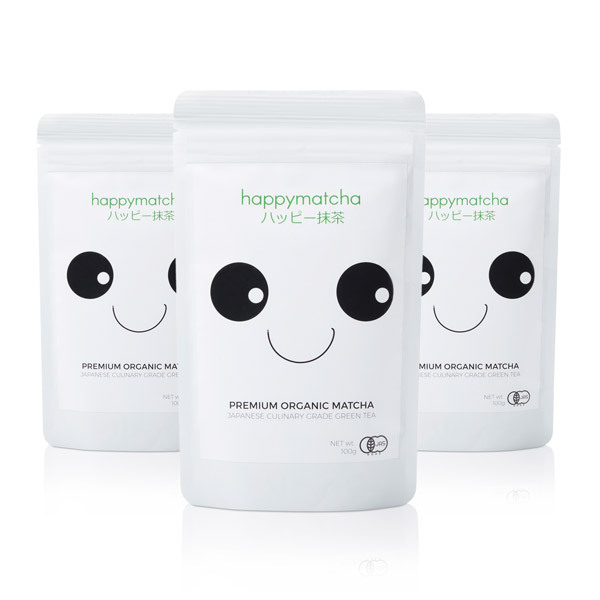 Get 3 x 70 gram packs of our organic Culinary Grade Matcha. 100% Pure Organic Culinary Matcha Tea Powder- Premium Food Grade Matcha for cooking. 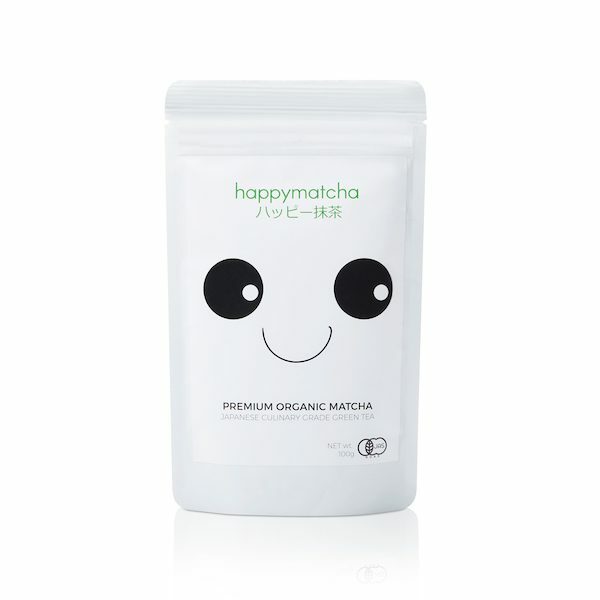 Happy Matcha Culinary matcha green tea powder is crafted specifically for cooking. It has a stronger flavour profile that works in harmony with sweets and savoury. Perfect for baking, blending and using in your daily recipes. Vibrant green in colour, fine texture, slightly sweet. 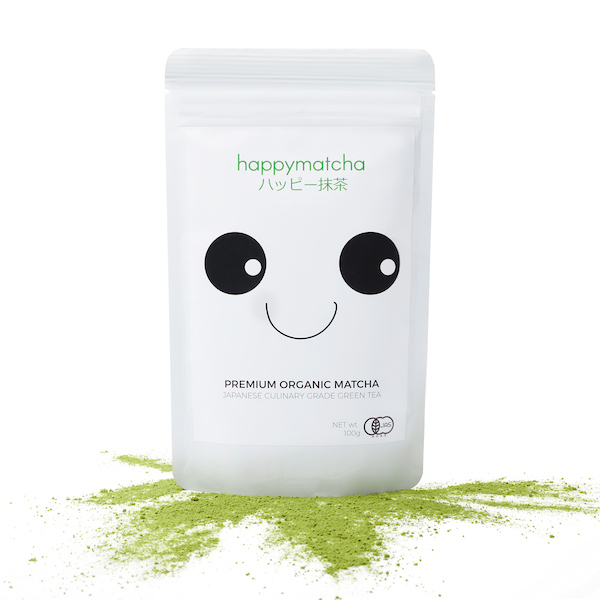 Happy Matcha is organically grown with love from Uji, Kyoto, where the leaves are hand picked and stone ground to enhance its naturally sweet taste and smooth texture. 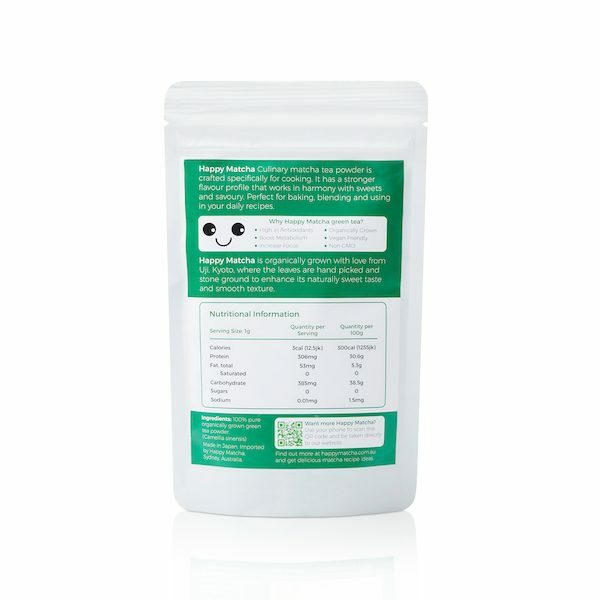 JAS certified organic, our matcha is grown using traditional Japanese techniques to produce the finest quality matcha powder money can buy.